The world—rather, the universe—of Orphans of the Stars is not quite ours, but it’s meant to be much closer to that than some other futuristic space settings. To that end, I’ve gone into my usual serious level of detail in worldbuilding, in hopes of creating something that stands the test of time. While I’m well aware that no setting can be completely without fault, I like to think that I’ve avoided most of the more obvious flaws. Aside from Earth itself, which only appears directly in the Innocence Reborn prologue, the galaxy is a vast expanse full of interesting places. Obviously, the most prominent features of our Milky Way (and the slightly different one of the setting) are the stars themselves. Ours is one of billions, and a fairly ordinary one. Sure, it’s in the top few percent in terms of size, and it’s the only one we currently know of to hold habitable and inhabited planets. But that’s a limitation of our present technology. Future telescopes and instruments will be able to find “Earth 2.0” out there, and one of the primary assumptions of my Orphans setting is that the so-called “Rare Earth” hypothesis is dead wrong. I do give FTL travel a number of limitations, mainly for storytelling purposes, but also following some fairly obvious rules to make the process seem more realistic. For instance, it’s limited to the ship, not the surrounding space. There are no hyperspace pathways or subspace tunnels. And that means spacecraft moving faster than light are isolated from “normal” space. They can’t communicate, because they’re outrunning light itself, including EM signals. And radar, so they’re also flying blind. It gets them where they need to go, but there’s always a margin of error, and it sometimes happens that a ship has to spend more time finding its way once it reaches its destination than it needed to get there in the first place. Those destinations, wherever they are, share one common feature: they’re meant to be plausible, given the assumption of terrestrial planets being common, but advanced lifeforms coming around much less often. The colony of Marshall, seen in the prologue of Innocence Reborn, orbits a star that really exists, one that has no known planets as of 2017. Maybe TESS or Gaia will find something that completely invalidates my efforts, but I hope not. The same goes for Malacca Colony, the next destination of the renamed Innocence. 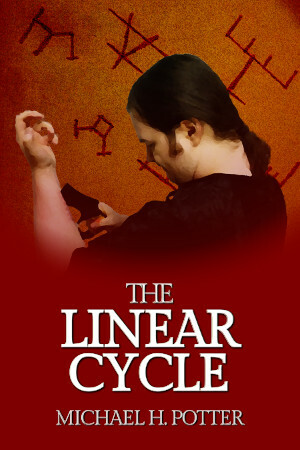 I described it in some detail in the last part of this series, but now I’d like to talk about it from a wider perspective. Again, it may not be real. It almost certainly isn’t, in fact. But there’s no data I know of (as of this writing) that proves it can’t exist. And that was my goal. Since the world named Malacca figures so heavily in Innocence Reborn, I think it deserves a bit of screen time here, as well. First off, it is a colony world. It’s only got a few hundred thousand people living on it, and they all do their best to prevent contamination of the local biosphere. For the planet does have native life. Not much, and almost none on land, but there’s something there. Canonically speaking, Malacca Colony suffered a very recent (in geologic terms) mass extinction event. That killed off what little land-based life there was, especially as this particular event was part of a “Snowball Earth” type state. Based on the planet’s orbit around its star, as well as influences of its neighbors and the other two components of the system (it’s a trinary, and the other two stars were only resolved as distinct in 2015), I saw this as highly plausible, and a good explanation as to why humanity felt comfortable “invading”. The colony of Pele, constructed on a volcanic archipelago, has a research center dedicated to studying the extant marine life, and that may come into play later. Other than that, the world orbits at a greater relative distance, making it colder than Earth overall, and that factors into the colonial experience. Kids get cranky when they’re cold, and that shows in the narrative. But there are other effects, too. The same goes for the planet’s lower gravity, about 70% of Earth’s. People who live their whole lives there tend to be taller. Falls aren’t as painful. Combine that with the lower body temperature (another adaptation), and it’s not too great a leap to posit that they tend to have better cardiovascular health than their homebound counterparts. On the downside, it’s harder for them to adapt to the heavier pull of Earth, and so it goes for a bunch of still-growing children who live there for months. Beyond the physical characteristics, there’s not a lot to say. I’ve already mentioned the five colonies, and the book itself goes into the reasoning behind that, albeit from a story-internal point of view. From the outside, I’ll say that I wanted the opportunity to have competing factions, even if I didn’t use them. And I think it shows an important part of the setting: humanity is not unified. We—or our descendants—are not exploring the galaxy as a single race. Our divisions, as we know them today, might not exist, but division itself is a constant. With what happens at the end of the sequel (which I won’t spoil for you, as it’s not finalized just yet), that may turn out to be a mistake. This series isn’t, though. It’ll keep on going, because I’ve only scratched the surface. And I like talking about this kind of thing. I like throwing out my ideas in these behind-the-scenes specials. So I’m going to continue this, but probably not every month from this point forward. Whatever happens, I hope you’re enjoying this look into a possible future as much as I’ve enjoyed creating it. So I’m back. 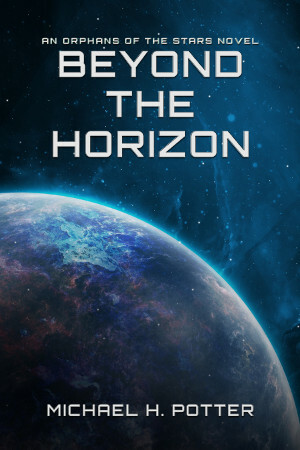 Since the last post about this series, I finished the draft of the second novel, Beyond the Horizon. It’s a little different, in that all the flashy space battle action is at the beginning. That, I think, gives it more tension, because you’re expecting more with each new step. I also left the story on something of a cliffhanger, which means I really should work on Book 3. But that’ll come later. Today, let’s delve deeper into the setting of Orphans of the Stars. First, we’ll start on Earth. Home sweet home. After five centuries, you might expect Earth to be unrecognizable. After all, 500 years ago, there was no USA; there were barely even colonies in the Americas. China wasn’t communist, because communism didn’t exist. The Middle East was a different sort of morass than today. And so on. On the other hand, it’s a bit of a modern conceit to think that our current institutions are stable, that they’ll last forever. For the Orphans setting, I’ve gone more towards that latter end of the spectrum. There are changes, but the broad strokes aren’t too different from what we know today. First up, the US still exists in my version of the 26th century, and it has mostly descended into the corporate-controlled dystopia whose birth we’re watching in our era. California and New England remain bastions of liberalism (in both senses of the word), evangelical Christianity has lost a lot of its support, and the extreme polarization of nowadays has come and gone. Americans in the setting still hold both the First and Second Amendments in high regard, pointing to them as proof of American exceptionalism, even if they have been weakened severely through the centuries. Outside the Western world, things are a bit more hit or miss. Russia fell into decline, China gobbled up North Korea, some Pacific islands sank due to rising sea levels (and new ones appeared when the waters receded during a cold snap circa 2300), and so on. Essentially every equatorial nation profited from the rise of cheap, accessible spaceflight: Ecuador tried—and failed—to build a space elevator, while a spaceport in Luanda is the only reason most people even remember Angola exists. And the Middle East, well, it’s still the Middle East. Even 500 years isn’t enough time to fix that. An adventure story set in space really needs places to go in space. And, since I’ve already established that Earthlike planets are common in the galaxy, and that FTL travel exists and doesn’t cause any ill effects to the universe at large, it’s only natural that humans would eventually begin to build colonies away from the mother planet. The Moon, by contrast, doesn’t have much of a permanent population. It’s more like Antarctica today, or offshore drilling platforms. People live there for a time, mostly to run experiments or oversee resource extraction, but they don’t stay there. That’s partially from the lunar dust problem, but also because of the known existence of other terrestrial worlds. Our nearest celestial neighbor just isn’t prime real estate. The same really goes for most of the other parts of our solar system. Jupiter’s moons are interesting, the asteroids are valuable, and Titan continues to enchant those who ponder its mysteries, but my setting (as opposed to, say, The Expanse) makes interstellar journeys possible before in-system colonization really gets off the ground. Thus, most of the Sol system is left to automated mining and collection, with a few manned research stations and the occasional torus or O’Neill cylinder construction for those who really do want to live in space. That, more than anything, is my main assumption. With the galaxy (or at least our little corner of it) open to humanity, wars over living space really have no need to exist. Rather than fight a bloody war with only the barest hope of success, separatists, if they don’t mind packing up and leaving, have any number of places to go. Which brings us nicely to the colonies themselves. Human colonization of the stars, in this setting, proceeded in waves. First, the initial push was more of a “can we do this?” kind of thing. Terrestrial planets in the Alpha Centauri and TRAPPIST-1 systems (I hope nothing in the next few years makes these impossible!) were first, because they were known quantities by that point, as well as good testing grounds. A few others then followed, once good news came in. This, I assume, would be in the latter half of the 23rd century. Next were the profit-seekers. Larger corporations in our time have values exceeding the average country’s GDP; in future centuries, absent a revolution in the way we think, I see no reason why that would change. Thus, private spacefarers began setting up their own colonies in the systems that looked most profitable, a land grab and gold rush combined. For the most part, they would stay somewhat close to Earth, if only for the ability to easily escape if things went wrong. But one colony, named Marshall, was founded specifically to be on the frontier. For the most part, the early 25th century continues that trend, though the attacks on Marshall (the prologue of Innocence Reborn) ultimately result in a 50-year moratorium on claiming new planets. Instead, new colonies are only allowed on worlds which already have a human presence. They’re big enough, after all. The end of that ban, however, changes the game just a little. Now, instead of one group running off to take a new planet entirely for themselves, Earth’s governments (national, corporate, and larger organizations like the UN) have agreed to restrict the practice to partnerships. That’s why Malacca (the main “base” colony for the second half of Innocence Reborn) has not one colonial government, but five. That’s the “current” era of colonization, in terms of the setting. It ends up being slightly cheaper overall, so the corporate bean-counters like it, and there’s less risk of a catastrophe, so risk-averse types feel a little better. And that opens up the many worlds to smaller groups. Marginalized sects were some of the first: Palestinians, Rohingya, Marxists, supremacists of every stripe. Utopia-seekers also joined in, as well as experimentalists who wanted the chance to try out different social philosophies. I specifically designed Malacca to house one of each type of colony, purely to illustrate that. Rosaria, where the orphans make their new home, is a fairly typical corporate state, a company town projected into the future. Yuan Yang is the (Chinese) government-run colony, which keeps both its culture and economy very close to home. Windmore is a social experiment run by Brits wanting to try out direct democracy; it has the most distinct cities, but they’re all much smaller, and that’s how they like it. Pele is the research center, run by North American universities, with the feel of a college town. And Little Eden, though it hasn’t appeared on screen just yet, showcases the utopia option—specifically, that’s a retro-revival of older forms of Christianity. All in all, with hundreds of colonies in existence at the time of the “main” storyline, there’s plenty of room for a writer to play around. And I fully intend to. I would like to do a few shorter stories set in different parts of the Orphans setting, those not touched by the all-kid crew of the Innocence. And I wouldn’t really mind if others wanted to do the same. Just ask, and I’ll be happy to help. This is the end of this part, but not the extended postmortem that is this series. I hope to be back soon, because there’s still so much left to say.